The Achilles heel of a laptop is often the DC jack. If someone trips on the wire while you have the power adaptor plugged into your laptop, it will most likely cause damage. We all know what DC jack is, just perhaps not by this name. 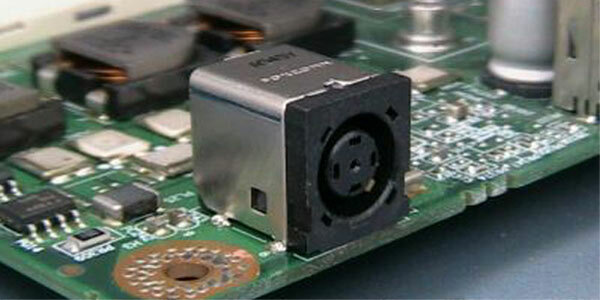 It's a tiny metal box that is soldered into the motherboard and that provides all of the power to your laptop. You plug your power cord into this jack whenever you try to charge the battery or run the laptop off an electrical outlet. As you can imagine, if the DC jack goes out, you won't be able to charge your laptop. In most laptops, the DC jack is soldered directly to the motherboard. The reason DC jacks tend to be so weak is because there are only three or four small pins holding it in place. Any sideways pulling of the DC power cord while attached to the laptop can dislodge a pin, breaking the solder around it. This article will explain how a Nerds On Call laptop DC jack repair is done. 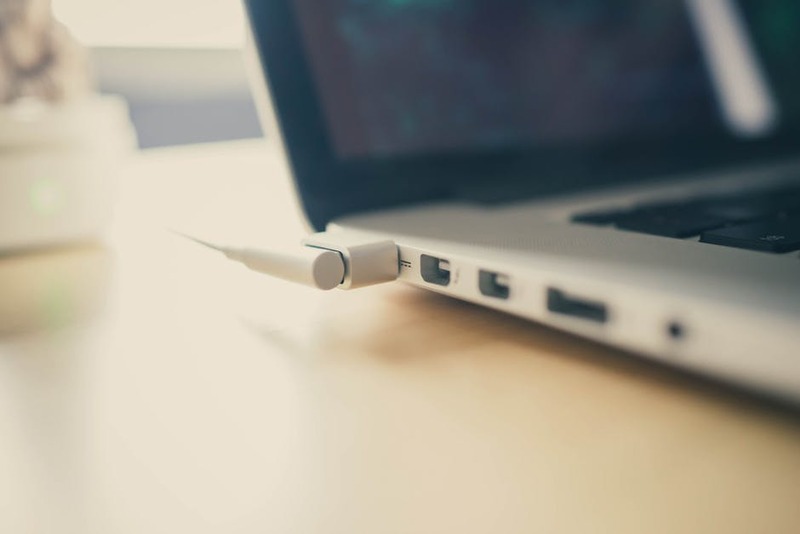 If your laptop DC jack needs repairing, feel free to give us a call at 1-800-919-6373 or fill out our contact form to talk to us about the problem today. A lot of our customers are surprised when they learn that the tiny plug that powers your laptop is a fragile piece of hardware. While it is true that it has a pretty simple job, the problem is that it gets a huge amount of wear and tear. Every time you pull the power cord out of your laptop, the jack housing is placed under strain. This is especially true if you have a habit of yanking it out roughly or trip on the cord regularly! The next thing you should know about the DC jack is that is soldered into the motherboard. In other words, it is directly connected to the brain of your computer. While it has a simple job to play in making your laptop work, it’s directly connected to the most important part of your computer. Which leads us to the third thing you need to know. 3. Getting to the DC jack isn’t a simple process! Even though a DC jack is a small and basic component, it’s surprisingly tricky to access. Before repairing your DC jack, it’s first necessary to remove the outer housing, the motherboard, the hard drive and RAM along with the keyboard and its frame. It’s quite a tricky operation just to get to this one tiny component. When a DC jack fries, you usually won’t have to get the whole motherboard replaced. We have the know-how to simply unsolder the DC jack from the board and solder on a new one. This can save you significant money, time and hassle. Performing these steps on your own is very difficult and time-consuming. If you’ve never soldered before, you can easily damage your motherboard trying to replace the DC jack. But you don’t have to try to do this yourself. If your DC jack needs repairing, we can help. Call us at 1-800-919-6373 or fill out our contact form. You can send your laptop to us in the mail or drop it off at any of our stores throughout California and Oregon. What is a laptop DC jack? Can you fix a DC jack? Isn’t it soldered onto the motherboard?